Condition: Over all very good! 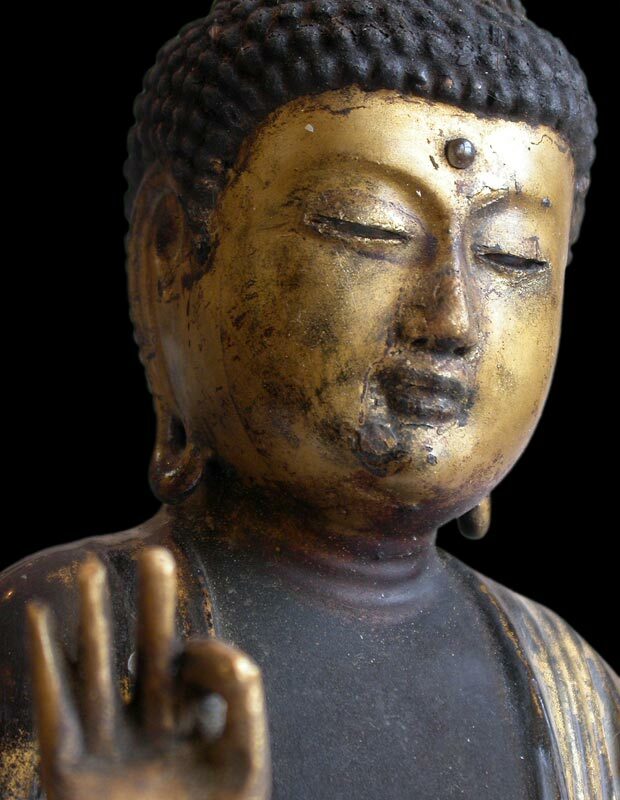 An exquisitely carved Jodoshu Amida Nyorai, his hands forming the raigo-in mudra, standing serenely on a newer lacquer pedestal, parallel arcs of falling garment flowing with a billowing rhythm, atop his punctilious snail-curls a ruby-red precious stone for the ushnisha, and a clear crystal for the urna over the forehead, curving lips and arching brows outlining reverse-painted crystal eyes; in spite of minor abrasions, his face is vividly youthful. 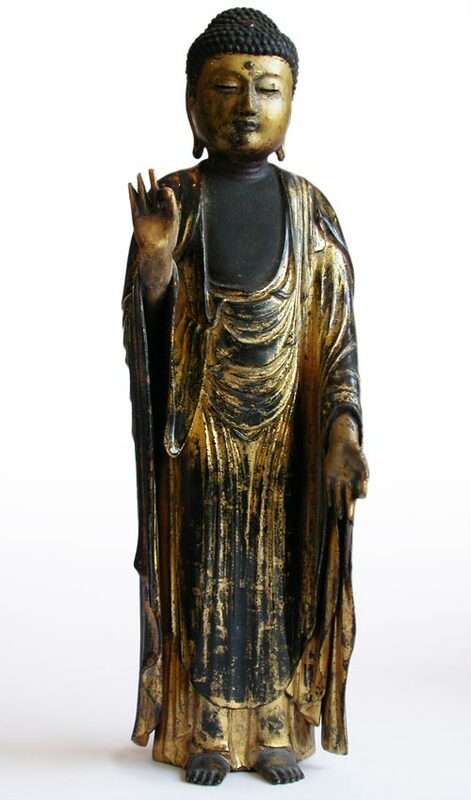 The statue was carved of Japanese cypress in hollow core joined block technique, partial cleaning reveals brushed and gilded gold leafs over layers of beaming black lacquer, whereas on his chest, centuries of the untouched remnant of hoarse built-up from incense oil, which instills an ethereal finesse to the surface in this ultra-fine carving.